As a key Senate committee prepares to hear public testimony on tax cut proposals Wednesday, senators expressed strong interest in repealing the state's unpopular margins tax on businesses, which has raised $4.7 billion annually. It’s only been a week since Lt. Gov. 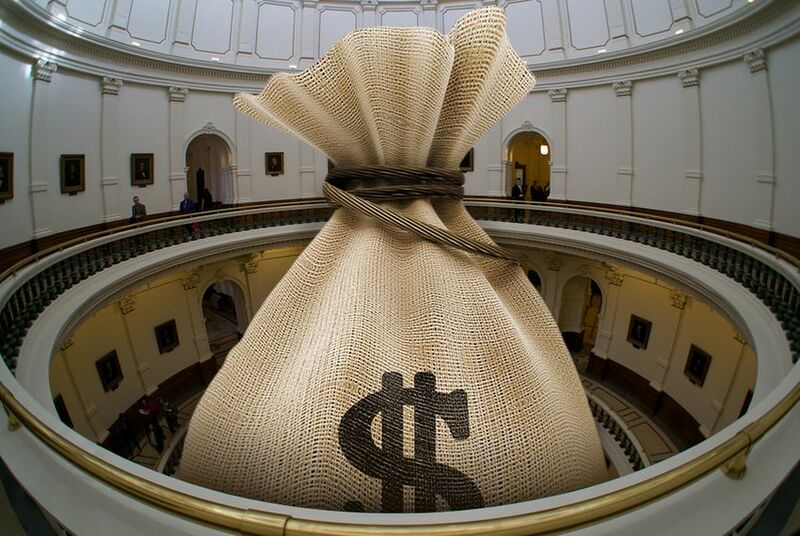 Dan Patrick unveiled a plan to spend $4.6 billion on cutting property and business taxes. But as a key committee prepares to hear public testimony on taxes Wednesday, the shape and size of that plan is being challenged, with several lawmakers expressing interest in spending billions more toward ending the unpopular margins tax on businesses entirely. The Finance Committee is set to hear from members of the public Wednesday on 32 tax relief measures, including four that Patrick has highlighted as the focus of his tax relief efforts. Along with measures aimed at the franchise tax, the committee is looking at bills to cut property taxes, sales taxes and taxes on fireworks. “I believe the bills we posted are a good starting point to facilitate a good positive discussion,” Senate Finance Chairwoman Jane Nelson said. The members of the committee — who include 10 Republicans and five Democrats — were nearly unanimous Tuesday in their disapproval of the margins tax on businesses that lawmakers created in 2006. Some, like Nelson, said they regretted having voted for it at the time. The tax has never brought in as much as was originally estimated. Business groups have complained that it unfairly hits certain businesses harder than others and forces some businesses to pay it even in years when they don’t make a profit. Doing away with the margins tax would require replacing $4.7 billion a year, nearly as much as Patrick’s entire tax relief plan would spend over two years. “If anybody’s got $9 billion laying around, let me know,” Nelson said. Despite the high price tag, state Sen. Royce West, D-Dallas, agreed that the tax should be repealed and argued that lawmakers should seriously consider a new source of revenue to make up the difference. The discussion on repealing the margins tax spilled over into the debate over whether property tax cuts will be worth the costs. The leading measure, Nelson’s Senate Bill 1, would change the homeowner's exemption from the current $15,000 standard to a moving target pegged annually at 25 percent of the state’s median home market value. It is estimated to save the average homeowner around $230 in 2016. State Sen. John Whitmire, D-Houston, echoed the concerns of a wide range of lawmakers Tuesday when he suggested that the cost of the property tax cut — more than $2 billion — might not be worth the return, particularly if rising property values swallow up the savings for many. Republicans leaders have proposed pairing a property tax cut with a change in law related to how much local property values or tax rates can grow. That concept was expected to get a full airing on Wednesday but will now be postponed after state Sen. Paul Bettencourt, R-Houston, pulled his bill from the committee’s schedule. Currently, citizens can petition for a rollback election if a city or county’s tax revenue grows by more than 8 percent. Bettencourt’s Senate Bill 182 would lower that rate to 4 percent and make the rollback election automatic. Bettencourt pulled his bill on Monday after the comptroller’s office had said it could not determine how it would impact local governments. He said he’s talked with the comptroller’s office and now believes it will be able to provide some sort of estimate on the bill’s impact. “Before having a public debate on an important issue, I think it’s important to have the data available to all sides to make sure we make a correct decision,” Bettencourt said. The Texas Municipal League had originally planned to target its testimony Wednesday on opposing Bettencourt’s bill, which executive director Bennett Sandlin said would hamper cities' abilities to provide vital services while providing little savings to taxpayers. “Our interest level went down when that was pulled off the agenda,” Sandlin said. Yet the concept isn’t going away. On Monday, Gov. Greg Abbott publicly backed lowering the threshold for a rollback elections to keep property values in line. “We want to ensure that we have lasting property tax reduction that doesn’t evaporate because of rising property values,” Abbott said. Ryan McCrimmon contributed to this report.